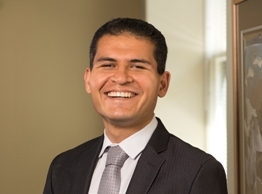 Mr. Nunez received a California Lawyer of the Year (“CLAY”) Award in 2018, and was named a Northern California Rising Star by Super Lawyers in 2016 and 2017. Mr. Nunez is a member of the U.S. District Court for the Northern District of California General Order 56 Advisory Committee. He is also a member of the Board of Directors for the LightHouse for the Blind and Visually Impaired in San Francisco. Structured Negotiations with Airbnb: RBGG’s clients, California Council of the Blind and California Foundation for Independent Living Centers, and Airbnb announced on November 20, 2017, that they had reach an agreement to work together to expand Airbnb’s efforts to improve access to its platform for guests with disabilities. Under the voluntary agreement, Airbnb will continue to implement a series of initiatives including improvements to its nondiscrimination policy, making its website easier for guests with disabilities to search for listings that accommodate them, providing greater assistance to those who use animal support, increasing anti-bias training for Airbnb team members, and ensuring that anyone who is discriminated against because of a disability is promptly rebooked at no additional cost. RBGG continues to monitor Airbnb’s progress in complying with the voluntary agreement. National Federation of the Blind v. Greyhound Lines, Inc.: RBGG represents the National Federation of the Blind and blind individuals in a class action in the Northern District of California challenging Greyhound Lines’ failure to ensure that its website and mobile software applications are accessible to blind individuals who use screen-access technology to access content on websites and mobile applications. Lyft, Inc.: RBGG represents the National Federation of the Blind and blind individuals in structured negotiations with Lyft, Inc. concerning access to Lyft transportation services for riders with service animals, which resulted in a comprehensive nationwide agreement in January 2017 subject to RBGG and co-counsel’s ongoing compliance monitoring. National Federation of the Blind of California v. Uber Technologies, Inc.: RBGG represents the National Federation of the Blind and its California affiliate as well as several individuals in an action challenging denials of service and other discrimination that blind and low-vision riders with guide dogs face when attempting to use transportation arranged through the popular Uber mobile app. On December 6, 2016, the Court granted final approval to a comprehensive nationwide class settlement, which is subject to RBGG and co-counsel’s ongoing compliance monitoring. California Council of the Blind v. County of San Mateo: The firm represents an association of blind and low-vision persons and two blind individuals in an action challenging the State and San Mateo County’s failure to provide voters with vision impairments the opportunity to equally participate in the County’s absentee voting program, which relies on inaccessible paper ballots. Plaintiffs seek to vote using software allowing them to read and mark their absentee ballots privately and independently using screen access software on their personal computers. In September 2016, the parties stipulated to and the Court ordered a framework for certifying and implementing an accessible absentee voting system in San Mateo County. In October 2017, plaintiffs secured for the first time the opportunity to vote using an accessible absentee voting system in the November 2017 election. Amici Curiae Brief on Behalf of Former Representative Tony Coelho in Masterpiece Cakeshop v. Colorado Civil Rights Commission, 16-111: In October 2017, RBGG filed an amicus brief on behalf of former U.S. Representative Tony Coelho, a principal author of the ADA, and a coalition of ten disability rights organizations. The brief asks the U.S. Supreme Court to affirm that the Colorado Anti-Discrimination Act is not subject to federal constitutional religious or free speech exceptions which would allow places of public accommodation to discriminate on the basis of sexual orientation. The brief urged the Court to consider the implications of such exceptions on enforcement of the ADA and similar state and local disability rights laws, marshalling examples of cases in which discriminators asserted these defenses. Blanks v. AMC Entertainment, Inc.: RBGG represents the Lighthouse for the Blind and Visually Impaired, the California Council of the Blind, and five blind individuals in a class action challenging AMC’s failure to provide reliable and effective access to audio description services at its theaters nationwide. Audio description is a verbal description of key visual aspects of a film during pauses in dialogue provided through an audio track synchronized with playback of the movie. The parties reached a comprehensive settlement agreement in April 2017. Coleman v. Brown: RBGG represents a class of the more than 30,000 men and women in California’s prison system with serious mental illness. After a contested trial, the district court held that the prison mental health delivery system violates the Eighth Amendment and ordered systemwide injunctive relief. See Coleman v. Wilson, 912 F. Supp. 1282 (E.D. Cal. 1995). The court determined that the constitutional violations remain ongoing in 2013 after the State attempted to terminate the injunction. See Coleman v. Brown, 938 F. Supp. 2d 955 (E.D. Cal. 2013). Through hard-fought litigation over the last two decades, RBGG has secured a number of significant systemic changes on behalf of the class, including, most recently, reforms to policies and practices regarding the use of force against prisoners with mental illness, as well as the overuse and misuse of solitary confinement. See Coleman v. Brown, 28 F. Supp. 3d 1068 (E.D. Cal. 2014). RBGG also recently secured an order requiring the State to provide emergency access to inpatient psychiatric hospitalization, which was affirmed on appeal by the Ninth Circuit in an unpublished decision. For more information see Coleman v. Brown: Court Orders, Reports, Photos, Expert Declarations and Media Coverage.